After years of grassroots efforts to carve out a place of their own, students in recovery at Baylor University have their wish granted by back-to-back gifts from the community. 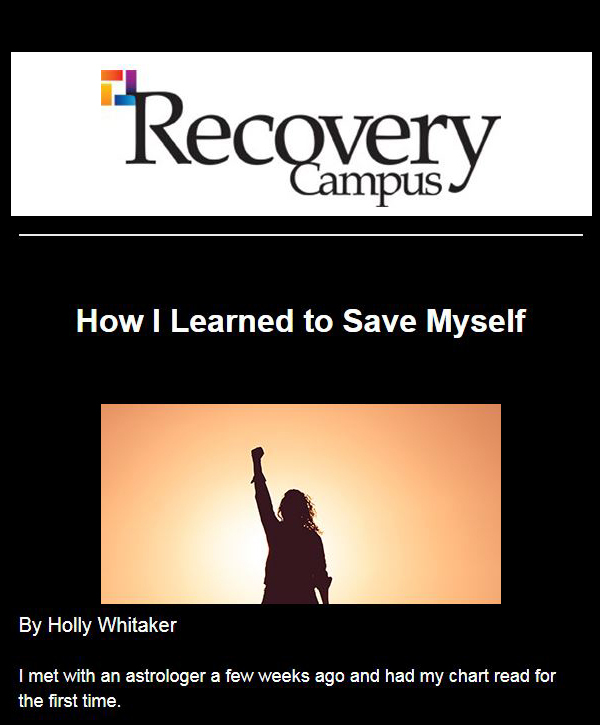 “I view recovery as a secret superpower — but one that requires training,” says Lilly Ettinger, recovery program coordinator in Baylor University’s Department of Wellness. “People in recovery don’t often realize the source of their strength, but when they learn and put that learning into action, they can do anything they set their minds to. Ettinger, herself in long-term recovery, has seen that strength in action on campus, growing in a grassroots effort from when she was a student to her current role steering a fledgling campus recovery program with powerhouse financial and administrative backing. 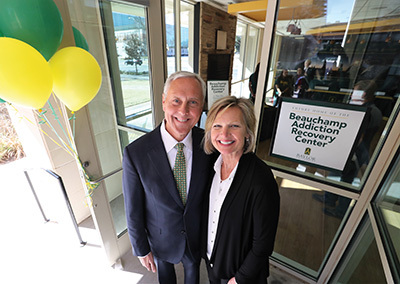 She’s watched it come a long way from 2011, when students in recovery formed an off-campus Alcoholics Anonymous group, to fall 2017 with the opening of the Beauchamp Addiction Recovery Center (BARC), which was made possible with a $2.5 million gift from Bob and Laura Beauchamp of Houston. 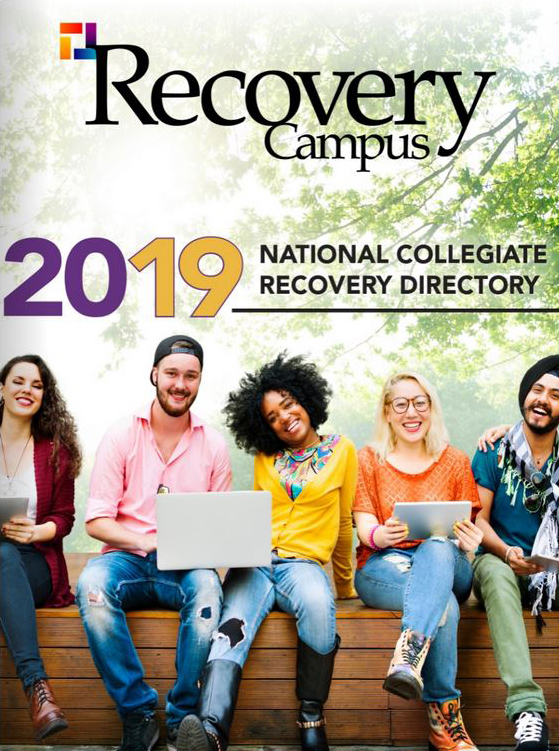 This fall, the BARC will start providing support services for students who are in the initial stages of identifying an addiction, including counseling and possible referral to off-campus rehabilitation, as well as continued support for students who have completed rehabilitation programs. The program also provides reintegration support for students who may have left school and for students who are already in recovery. The center offers weekly support and community recovery meetings, recovery coaching, and conversations with mentors as well as campus wide educational outreach efforts that identify social environmental influences, provide education on the support services and encourage peer-to-peer support. 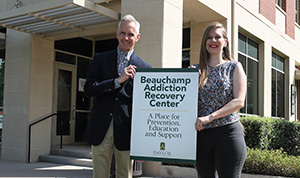 The Beauchamps’ gift makes possible a giant leap for a school that has already been making consistent strides in improving the quality of life for students in recovery. Although Baylor’s Counseling Center and Department of Wellness have long offered recovery support services, Student Life staff identified a need for outreach and a social component — and worked to make inroads in those types of services with the resources they had. The funding allowed the program to expand its offerings to include more social events and outreach. Recovery questions were added to incoming student surveys, and Ettinger was present at new student orientations, handing out “Pugs Not Drugs” buttons, which she says are “super popular” with both current and incoming students. “The support we received from the university — from the bottom to the top — has been amazing,” she says. But things were about to get even more incredible. By the spring of 2016, a proposal began in earnest, and through the summer, a team of Student Life and University Development staff worked together. 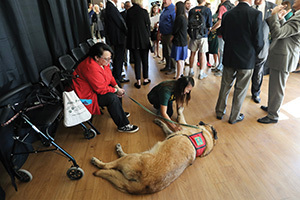 By the fall, Ettinger was presenting the program to a variety of Baylor constituents, and the original dream of a million-dollar endowment expanded to $2.5 million. The program found its sweet spot, so to speak, in a 2,000-square-foot former convenience store/frozen yogurt shop nestled on the first level of the engineering dorm. The space was perfect for housing two recovery staff offices, a break room, bathroom and an open L-shaped space to house a bookcase filled with recovery resources, a television, comfortable chairs and couches. With the demand for services growing, Ettinger also requested funding for additional staff. “At that time, it was just me, and I was only part time until September 2016,” she says. A second full-time employee was hired to manage the alcohol prevention programming and work with students who are seeking recovery. In addition, 13 peer leaders help with recovery and wellness programs around campus. In May 2017, the program received an additional boost with a gift from the Baptist General Convention of Texas designed to enable the BARC’s staff to educate the Student Life staff on addiction and collegiate recovery and support the staff’s efforts to improve recovery ministry education for Baylor’s ministry guidance students. The funds will also be used to help create a recovery prayer project and liturgical services in conjunction with local churches and Spiritual Life and to improve the recovery library available to students at the BARC. Ettinger also hopes to use some of the funding this fall to book chapel speakers who can speak on how collegiate recovery integrates with faith and to host an information table outside the chapel. “Every new student is required to take a year of chapel, so it’s a very visible way to make our presence known,” she says. Ettinger came out of the gate strong during National Recovery Month in September. The recovery group held its second moonlight yoga event in Fountain Mall in the center of campus — “It’s the only time of day that it is cool enough to be outside,” she quips — and a free screening of the movie Generation Found, which tells the story behind the creation of a youth addiction recovery support system in Houston, at the Hippodrome Theatre downtown later in the month. Two seminars also are planned: “New to Be You” for those new to recovery or in recovery but new to Baylor and a second for upper-level students who wish to be active in more of a leadership capacity in the center and participate in conferences — a role that Ettinger encourages. 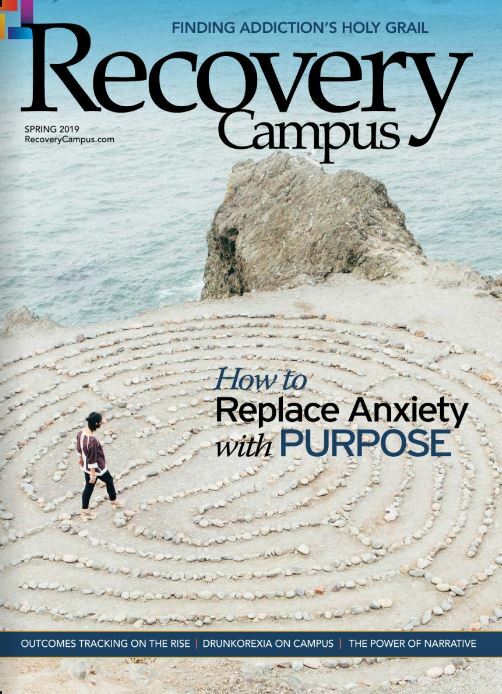 “In February, we had five students who showed leadership potential attend the [ARHE] Collegiate Recovery Student Summit in Colorado,” she says. 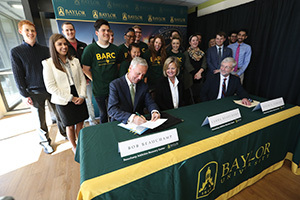 Future initiatives from the Beauchamps’ gift include merit- and service-based scholarships awarded to students in recovery and the creation of housing space on or near campus that will allow Baylor to match students in recovery with others who are committed to supporting their success.